Galina Venetian eye masks are hand painted and glittered. Mask has black ribbon trim. 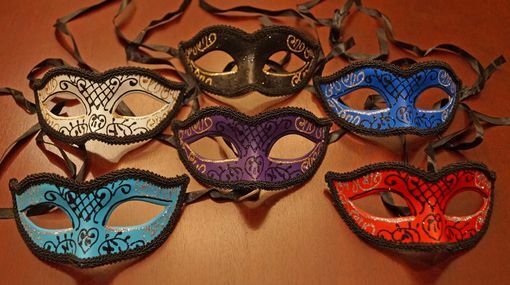 This mask is also available in the bulk mask section as a 24 piece assorted party pack item # 17255PTYPAC24.